With the advancement of technology, wireless systems are the new trends. Right from wireless mouse to WiFi, to wireless earphones. We have always loved life without digital entanglements. Wireless earphones work on Bluetooth, but buying a good one in the budget can be a difficult task. One cannot simply compromise on audio quality by making it all wireless. So here are our recommendations of best Bluetooth earphones under Rs. 2000 in India. SoundMagic E10BT is a Bluetooth earphone which is built for people who enjoy loud music. The sound driver amplifies the music over the normal volume and gives you the best music experience. The battery pack in SoundMagic E10BT is bigger, so one can expect better battery life. The audio quality is really great and it’s clear too. As for the bass, it is decent and not too much which is found in some specific earphones. SoundMagic E10BT could have done better in terms of build quality. Overall this is one of the best Bluetooth earphones available in this range. You might need to wait till it’s in stock again. There are various online sites where you can shop from latest collection of bluetooth earphones. JBL is one of the best companies out there dealing in audio devices. 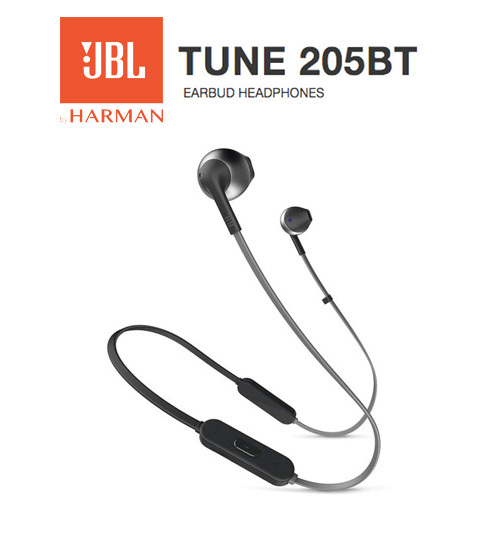 One such budget Bluetooth earphone is the JBL Tune 205BT. 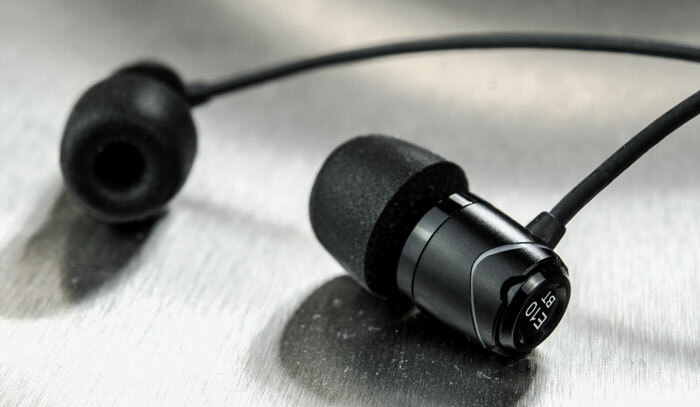 This earphone is famous for the premium audio quality it offers. Here the take is, enjoying music with a good amount of bass. This time its a choice for people who enjoy good bass along with the rhythm. The battery life will last for around 6 hrs which is decent I would say. Bluetooth earphones do have this issue of charging, but then you enjoy no strings(wire) life. Here you get a tangle-free flat cable joining the two earbuds of JBL TUNE 205BT. Next up is a Bluetooth earphone for the sports category. 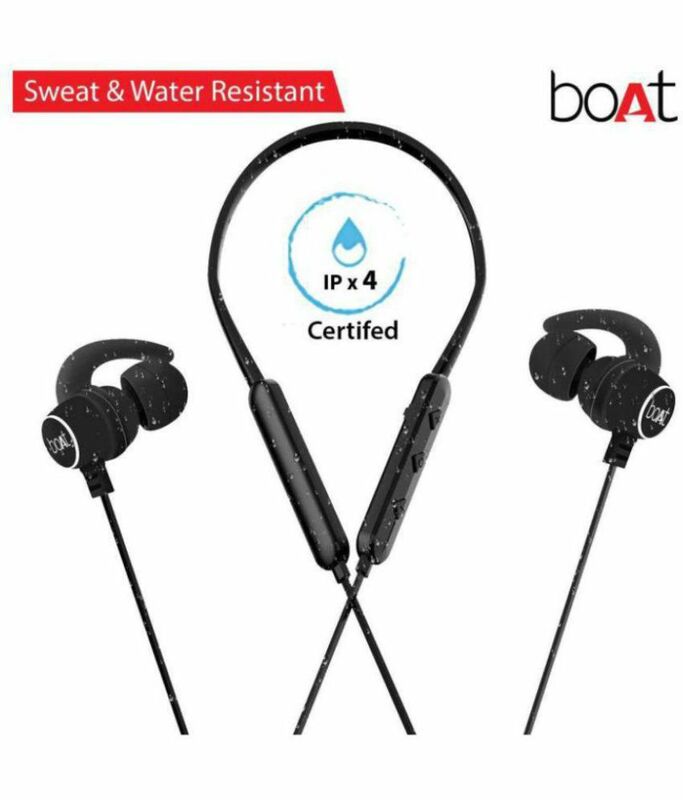 One of the major feature needed for a sports earphone is the IPX5 rating which means sweat and water resistant. Do mind that it’s just resistant and not water/sweat proof which states that it can work along with little sweat or water. Also to make it fit under the sports category, boAt Rockerz 255 Bluetooth earphone comes with a fin design because of which it fits properly in the ear. This will help you listen to interruption-free music while you are doing some physical activity. Now mind this that boAt Rockerz 255 are again famous for the clear bass they offer. The battery life is the same as 6 hours of music. Now, this is something which might be unexpected in the audio segment. 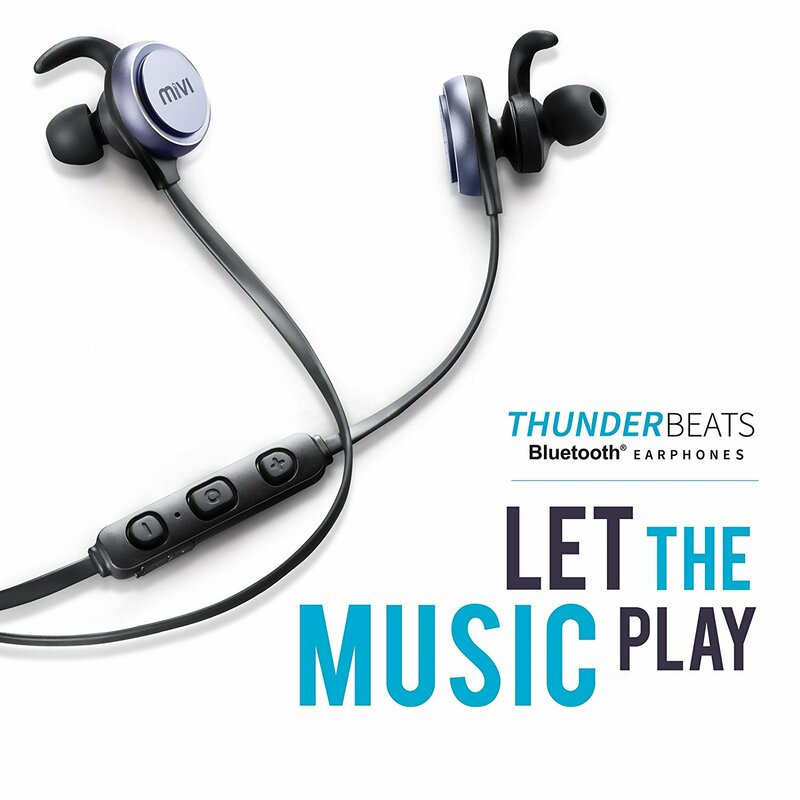 One of the options we have is the Mivi Thunder Beats which has very nice audio quality. It performs really well in the highs and lows segment of the music. This earphone is a bit stylish with the metallic look. Again this earphone comes in the sports category due to the design and IPX4 rating. It will give you around 7 hours of battery life. When you are not using the earphones, it will automatically fit around the neck with the magnetic lock feature. One of the features here is the noise cancellation while doing the hands-free calling. So these were some of the Bluetooth earphones options to consider from. Most of them will cost you around 2000 INR or less. Let us know in the comment section which is the best according to you.